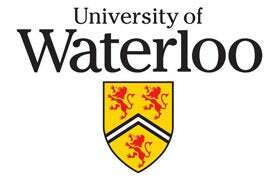 Frederick Travel Waterloo is very proud to team up with the University of Waterloo, as your preferred travel supplier, to serve and advise you on your business travel requirements. Frederick Travel Waterloo has been in the business of providing exceptional corporate travel services for over 24 years, with representation on both a local and global level. We are an owner-operated boutique style agency with a strong focus on customer service. This has enabled us to build an agency rooted in the best proven practices while staying current with the ever-changing travel landscape. Our commitment is to make things easier for you and to do this we need to convey some information. We recommend that you read the following information carefully and ask that you follow the travel guideline indicated in order to take advantage of the savings available to the company. We strongly encourage all University travelers to book all travel arrangements (air, hotel & car rental) through Frederick Travel. By doing this we will effectively manage the University’s travel program and take full advantage of volume buying power and airline, hotel and car rental discounts. Also, in case of an emergency, it is important that the company know your approximate whereabouts. Frederick Travel Waterloo provides a minimum of two cost effective options for all of our corporate travel requests. Our resourceful and dedicated staff can manage a wide range of travel needs, including quick responses to all inquiries. We are a full service agency offering Corporate Travel, Leisure Travel and Meetings & Events. Please ensure that you complete a Personal Traveler Profile (see instructions below). The profile must be kept current at all times. Your profile will be kept confidential. The submission of a Personal Traveler Profile will ensure that your reservations will be done according to your personal preferences. We are pleased to offer you 3 options when submitting a travel request. We recognize that everyone has a personal preference when placing a request for service. Your request will be acknowledged within 20 minutes and options will be returned within 1 hour. Requests submitted through this form will only be processed from 9:00 am to 5:00 pm Monday to Friday. Requests received after 5 pm will be processed the next business day. Email your travel request to your dedicated team.